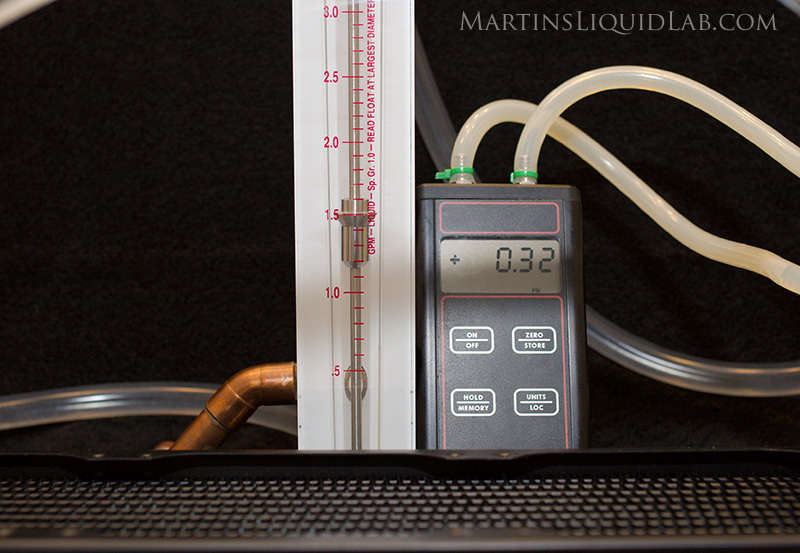 Welcome to my pressure drop testing of the "The Feser Company" X-Changer 120.3 radiator. I would like to give special thanks to Jeremy from Danger Den for loaning me this radiator for a quick flow rate pressure drop test. I know it's a hot topic on the forums and glad I could test it for pressure drop. 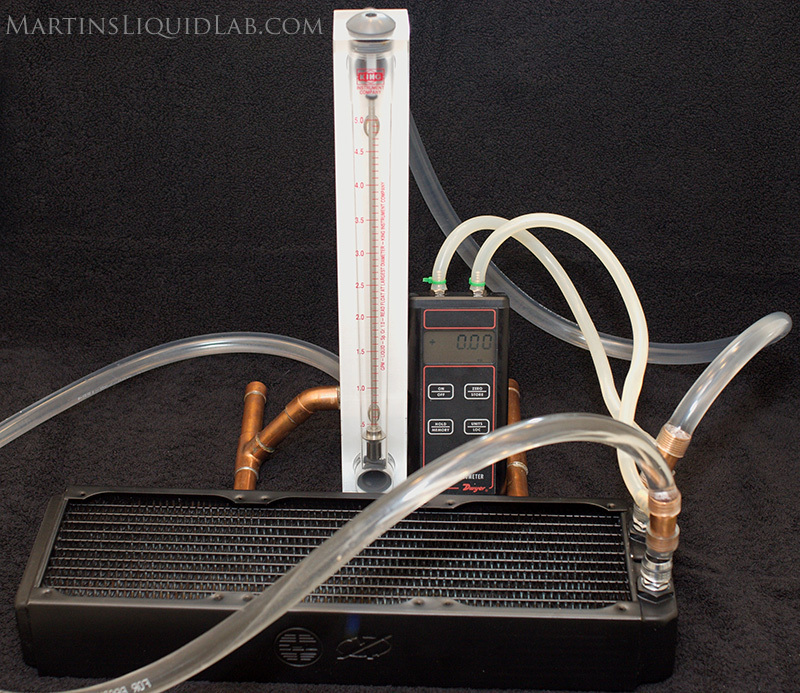 With this review I will focus on the pressure drop and flow characteristics for this radiator. 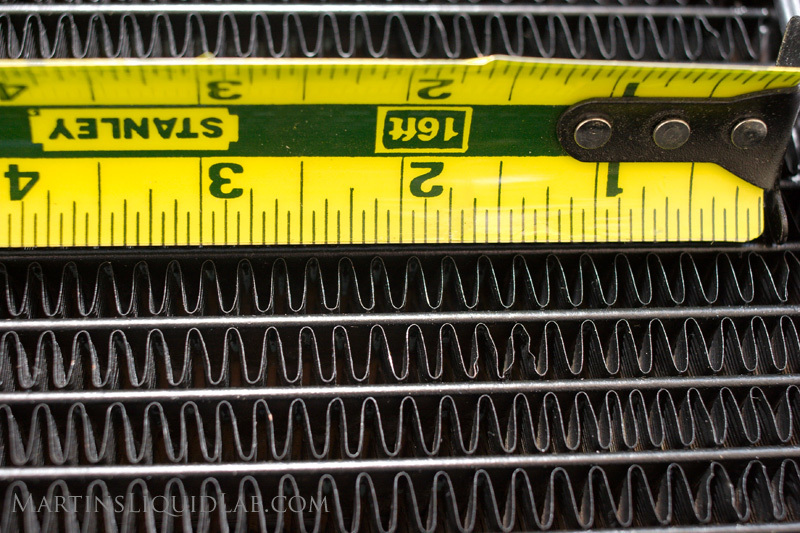 The radiator is a very thick and open finned designed to be optimized for low speed fans. It has similar thickness and fin structure to that of the popular Thermochill PA 120.3. Here are some characteristics noted by the manufacturer. I should note there will be some slight exterior type changes still going on here, so the final production model will be a little different. I heard they may be working on the threads, different paint, and some shroud ideas. So it sounds like very minor exterior changes only. And my results are as follows, the pressure drop results are very very good! Update 3-22-08, I've acquired a new Thermochill PA120.3 on loan from the great folks at Danger Den to complete this comparison. Special thanks goes to Dennis and Debbie at Danger Den for making this happen. I tested the PA with the same setup, and because the PA comes in G3/8" barb threads I first tested with some EK G3/8" barbs, and then some G3/8" to G1/4 reduces from Watercoolingshop.com to use regular barbs. I then used the Danger Den Fatboy G1/4 barbs on those adapters for my second test. In the end, both radiators had very similiar and very low pressure drop. 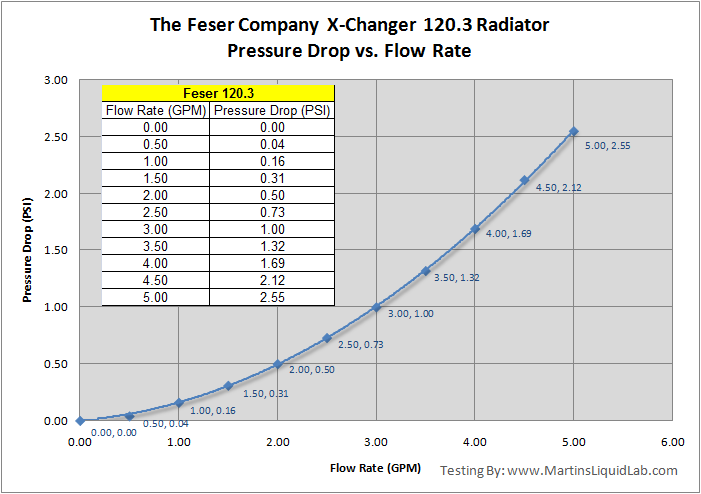 The Feser X-Changer 120.3 has exceptionally low pressure drop, very impressive! I'm very impressed with the X-Changer's low pressure drop and I'm very curious how well it does thermally with the copper channel construction. Copper tubes are generally not used in radiator design because copper is very soft, brass provides greater structural strength. But Feser found a way to utilize copper (better thermal conductivity than brass) tubes and I can only expect that will help with thermal results. I have no doubt it will perform very well!